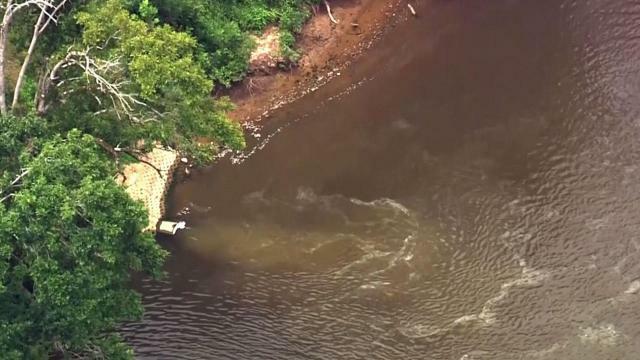 A utility that provides water in southeastern North Carolina has sued a company it accuses of polluting the Cape Fear River, where the utility gets its water. The Cape Fear Public Utility Authority filed a suit in October 1017 which accuses the chemical company Chemours and DuPont of violating the Clean Water Act and several other federal laws by putting a chemical known as GenX into the water. This is the second lawsuit filed this month against Chemours for GenX contamination. GenX, which is used to make Teflon and other items, is an unregulated chemical, and the health effects of long-term exposure to it aren’t well known. Still, state regulators have ordered Chemours to provide bottled water to dozens of people who live near the company’s plant whose private drinking water wells have shown high levels of GenX. Bottled water, of course, is a short-term fix for the problem. The water a schools in the area is also being tested for GenX contamination.